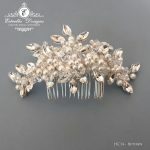 Product ID: 760 Category: Hair Combs. 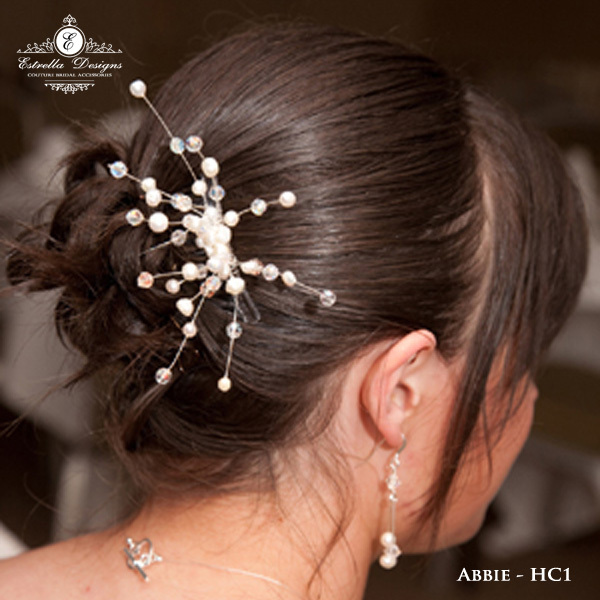 Tags: diamante, freshwater pearl, Swarovski Crystal, swarovski pearls. 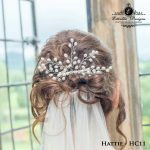 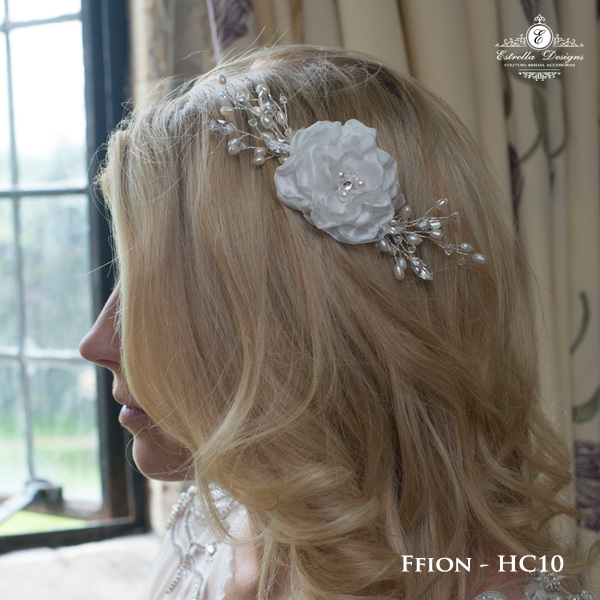 Seren is a gorgeous hair comb that could be worn in various ways including above or below your bun. 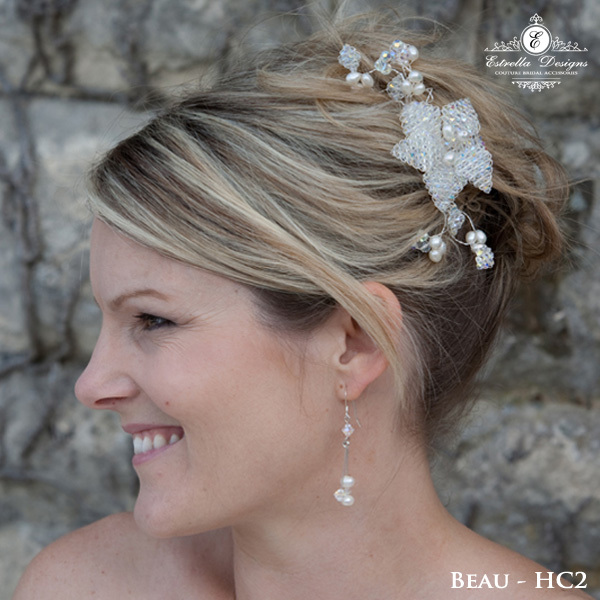 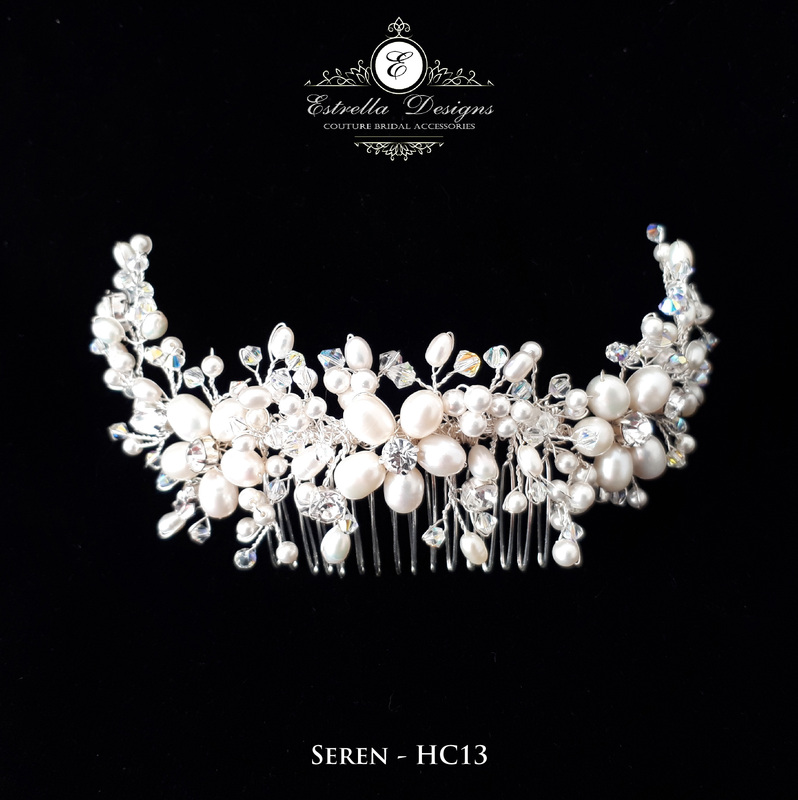 It is full of the highest quality freshwater pearls, swarovski crystals, swarovski pearls and diamante. 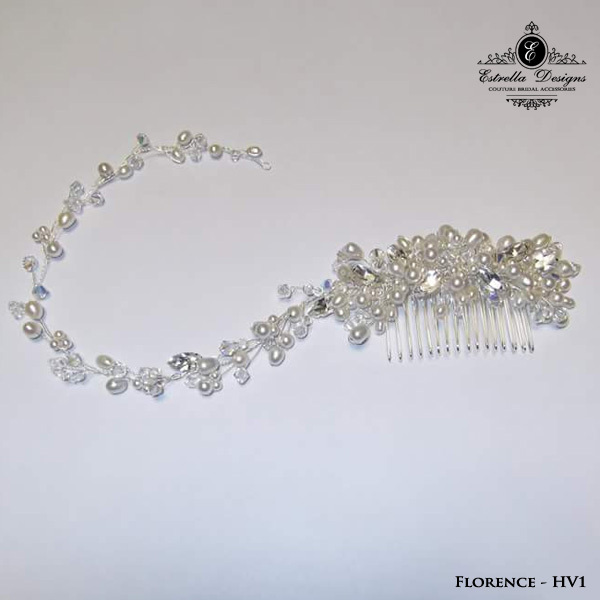 Designed using non tarnish silver wire and silver comb.